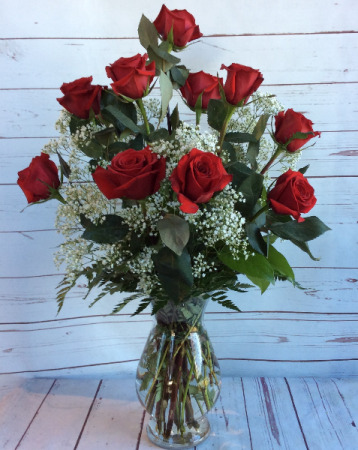 12 Long stem premium yellow roses. 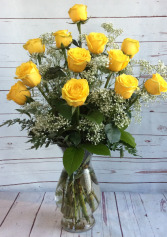 Our choice variety for yellow is "High and Yellow" the vase is finish off with babies breath arranged in a modern bella vase. 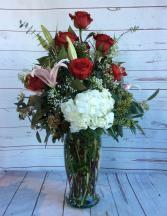 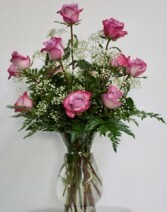 Red Roses, White Hyd, Euc Assorted, Greens, Gazers, Basbies Breath, Big Bella.